File them in the same pile as Stranraer. Both clubs hitting financial turmoil whilst we’re conveniently in the same division. Shame they don’t have another game for us to bring the Black and White pound to their shallow coffers. Staying in Beauly for the County game, two cheeky wee half days off work. It's the night we send a message to the gaelic speaking masses who's the daddy of the Championship. I know this is not the best place to ask. I have been overseas for 12 years now thinking of making a trip for the dumfermline , ross country dbl header. Is there a bus running up to the county game and any recommendations on a decent hotel to stay at in ayr? I come up once a year from England and stay at either the Kylstrome or the Carlton...prestwick is better sadly than Ayr for a few beers...other than the wee Windaes. I've also flown in from a Singapore for games!!! The missus thinks I'm mad but once AUFC is in the blood!!!! !I'm hoping to be up in April and do away at DUFC - spank them again. While posting my team for the Morton game I realised that we do actually have a bit of strength and depth. With Kerr and Adams expected back our best 18 is probably something along the lines of. Higgins misses out on the 18 completely. With Geggan and Forrest coming back soon another two will need to drop out of the 18. Nice problem for McCall to have. See Ellis Hare Reid is away to a New Zealand Under 20s training camp this week. Supposedly it’s to have a look at overseas players ahead of the Under 20s World Cup in Tahiti. Which begs the question how many Ayr players have played at an international tournament? Be it senior or youth. 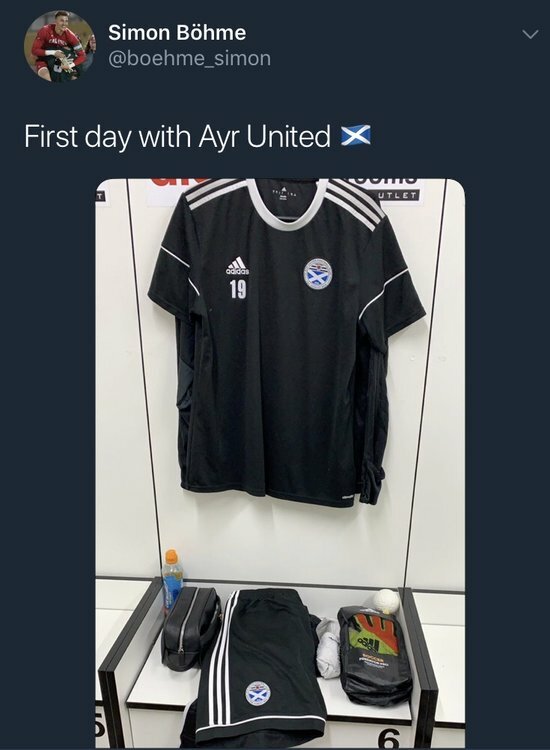 Don’t have to have been playing for Ayr at the time either. I thought Forrest was out for the season? If he’s back soon that could be a huge boost. Worth going direct as sometimes better deal but also check out the usual Groupon and itison sites as the Carlton sometimes does offers, as does the Parkstone in Prestwick. Carlton right beside the Belllrock , Parkstone at the beach front in Prestwick but both reasonably handy and a short taxi ride for the Ship Inn if you decide on that. Lucky bugger if he goes. Feel a bit sorry for him in some respects sitting behind Doohan who is going from strength to strength it would appear. If we are promoted I'd like to think he'd get a loan somewhere for first team exposure (with a recall clause obviously). As long as Stainrod isn't hawking his wares about Somerset. He provided a tonne of dross to Scottish clubs over the years. 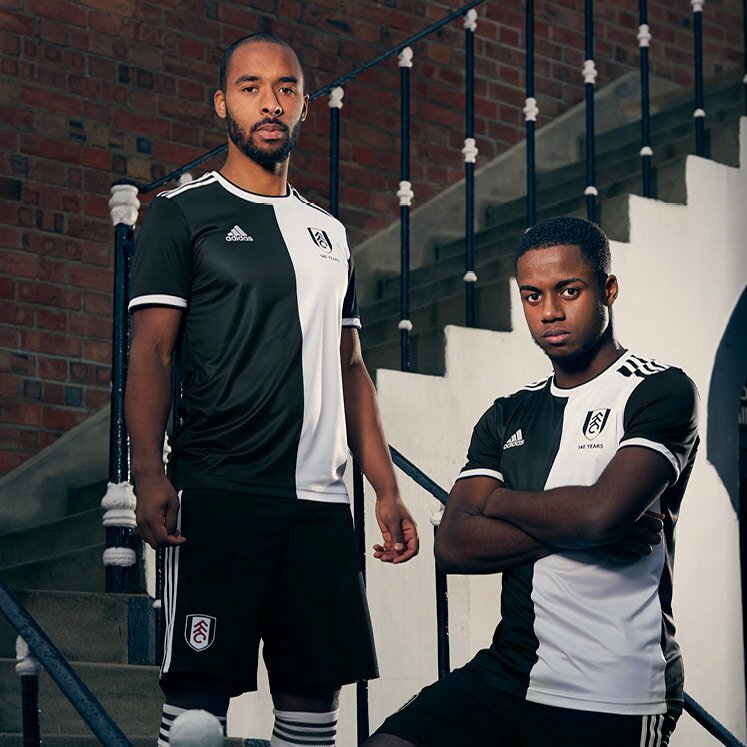 Fulham have released an anniversary shirt. is it to early to be looking for next seasons template? That's almost identical to our Nike Bodog strip from a few years back, which coincidentally is my all time favourite and has been in many bizarre situations with me in Portugal, Spain & Poland. I almost used to wear it as a "shield of steel" and to be fair I always woke up alive the next day, so very fond memories of that bad boy !! Who the hell is going to be our back up goalie if Hare Reid goes, I presume this is a chance to leave immediately and not at the end of the season. What the he'll did u get up too ? He’s only going away until Thursday. If he’s called up then the tournament isn’t played until the summer. Lots of naughty stuff that has you waking up with the "fear" the next day (actually about the next week). All fine though and the good name of Ayr Utd spread throughout Europe !! This another lad on trial? He’s a goalkeeper from Denmark. Some good action on you Tube for this lad. Probably turn out for the reserves tonight. Exciting times at Somerset, this season is just getting better and better !! The u20 World Cup is in Poland this year. To answer your question, Stevie Nicol and Alan McInally are the most obvious ones, possibly Billy Hendry and Ian McAllister. Not sure whether Robert Connor played at that level as an u21.